The trouble with self-regulation is that the good guys do it well and the bad guys ignore it completely. So it's potentially very effective for 85 per cent of charities but lousy for the other 15 per cent (when reading these figures, bear in mind that 95 per cent of statistics are made up on the spot). I was pondering all of this at the National Council for Voluntary Organisations' Trustees Conference as I listened to the Charity Commission describe its downsizing tactics. It's rather like my children using the internet - I can put the PC in the living room, randomly check what they are doing and set up parental controls (which are hit and miss when you test them), but I'm just too busy to guarantee that they use it appropriately. I know, however, that we have brought them up to know the difference between right and wrong, so they self-regulate. When my 10-year-old son lectures me on which are the four safest websites to leave your child in front of without supervision (CBeebies, CBBC, Miniclip and Moshi Monsters apparently), I know I can trust him. He is an expert in his field. He learns from school, listens to other children - whom he has labelled as "trouble" or "trustworthy" - and he reads about the safest sites in an online newspaper. The Charity Commission would like organisations that look like umbrella bodies to take on some of its tasks in scrutinising charities. But it fails to recognise that many of those that once looked like golf umbrellas are shrinking down to the smaller foldaway variety - just as the commission itself is doing. The question is whether those organisations have sufficient capacity to get involved. But if some are willing and able to assist, how could they be helped to do so? What we need is for the commission to tell those umbrella bodies which organisations it believes are among the 15 per cent of problem cases. A report - listing those that file their accounts late, have high levels of net current liabilities or have received more than three separate complaints from the public, for example - could be sent to the umbrella bodies once a year to steer them in the right direction. Then, at least, the umbrellas could focus on the bad guys who aren't willing or able to self-regulate. 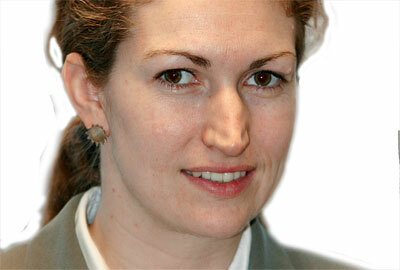 Helen Simmons is finance director at the Diocese of London.